The apple is a noble fruit with bad luck. Eve used it with Adam and all humanity paid the price. The wicked queen gave it to Snow White to eat and it put her to sleep (true, then the Prince showed up). On top of that, one fell on the head of someone who was sleeping under a tree, the law of gravity appeared, by virtue of which all of us, although we float for a while, we fall. It is also true that some people get back on their feet, but others, not even with a carne get back to a vertical position. There are also those who float perennially. I saw with amazement the news of the 15,000 apples of discord. What follows is part of a real fact and a supposition. The real fact is that apples are not a commodity in Cuba or anywhere else. The assumption is that the “massive” purchase of apples in Cuba is not an act aimed at provoking some kind of political instability via hoarding. As I said, my first reaction to seeing the news was to think like my grandfather, who was a winemaker in Güiro-a town between Quivicán and Gabriel. From that “merchant’s gene” I said to myself: magnificent operation. If no act of corruption has occurred (lower prices, unbilled quantities, etc. ), then those who sold the apples have managed to sell perhaps all their inventory at once. With this, in the first place, the turnover of committed capital increases. This, I believe, should positively influence the mass of profits then, it is good for the company. Second, I say, La Puntilla has avoided having possible losses due to quality deterioration, which is also good for the company. Third, the company can quickly and from that same income again buy apples! That non-tropical fruit that you like so much. That way you can quickly sell more in less time! I recognize, however, that this is a very biased way of thinking that leaves aside the reality of the Cuban “market”. In fact, there is a resolution from CIMEX stores that prohibits selling more than a certain percentage of their inventories to a single buyer. It’s aim is to avoid hoarding, a resolution that is due to the “peculiar” way in which the Cuban “market” works. From the perspective of the “apple consumer”, there are two situations: those who went to La Puntilla (a shop located in a place not easily accessible in Miramar) and suddenly cannot satisfy their fantasy of eating an apple. However, there are also other consumers, who are willing to spend relatively more (in time or money, which is sometimes the same thing) to reach that store, but who also like apples and are able to pay a little more, always and when they have it closer. I do not know which of the two groups of consumers is more important. There is also another type of consumer of apples: one who has, for example, a bakery or sweetshop and needs apples in large quantities, but there is no wholesale market in which to buy them. But after that cold reflection of a merchant’s grandson, I returned to my position as professor of Economics. The fact itself seemed fantastic to me for a case study from two different perspectives: that of microeconomics and that of Political Economy. From the microeconomic perspective, there is nothing to say, except that perhaps the price at which the apples are sold at La Puntilla is not a price determined by market conditions -not just supply and demand, which should not be so simplistic, while there are monopolistic conditions conferred to a state company for the importation of apples. Despite this price, there is a “market” for apples, to the extent that some people take the risk of buying 15,000 at a time. Therefore, there are no problems. Now, look at an interesting thing: whoever buys apples at a price that is usually multiplied by a coefficient greater than 1.80, has enough money to import them! at a lower price or to buy them in a market that practices the wholesale modality. If so, then perhaps the apples would be sold in those distribution points probably at a lower price than La Puntilla, with benefits for consumers and also for the country. This is because there would be no risk of money from the country (that is, from the people) in a perishable product, not at all decisive in the structure of the basic consumer goods of the average Cuban. If there was such a possibility, as much as for the consumers, the salesman, and for the State itself (which does not have to spend on that which is not decisive) would be maximizing the utility of its resources. This is also a cold, calculating reasoning, made from microeconomics, which is too impersonal and far from the social relations of production. Then let’s look at it from the viewpoint of Political Economy. This act of exchange is nothing more than a way in which diverse actors of society are related in certain conditions at a given moment. The state company, as representative of the owner -which is the people-, and the wholesale buyer of apples, who then sells them to the same owner (not to the State but to the people who consume them) at a higher price. Yes , it seems strange but it is like that. It watches over the interests of the owner and makes his stores work under And part of the utility produced by apples reverts to the owner in some kind of subsidized product or service, or development program from that income produced by apples. 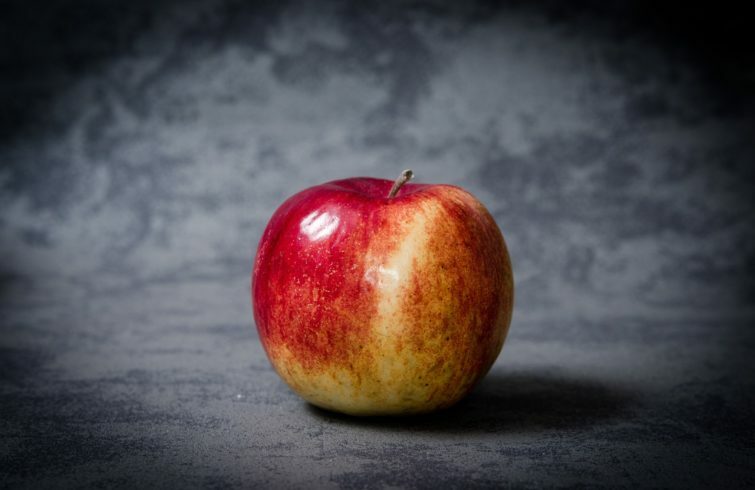 On the other hand, the buyer of apples, who has discovered an opportunity in the retail and territorial distribution of the fruit, has an interest in selling it and making a profit to appropriate it privately. However, by buying all the apples at once from the state-owned company, it has made it easier for the company to buy apples again and continue fulfilling its social purpose, producing more profits for the owner, who is the people. It is true that this buyer appropriates a profit, but if and only if he manages to sell the apples, which allows the realization of the product in which a state company invested money (of the people). The seller, as already mentioned, makes a profit, a part of which is used to pay its retailers, which generates some type of employment and provides a salary to people who are generally elderly and/or women, or other private businesses. This, although it is true that the “consumers of La Puntilla” are left without their apples, it is also true that the purpose for which apples are imported and sold is fulfilled! If the company that provides the apples for La Puntilla could immediately replenish the inventory, it would be a great virtuous circle. But this is not the case and, in this case, it is not because of the blockade (you can buy apples not only in the United States, but also in Mexico or Canada). It is also true that the apple does not care if it is sold in a mass lot or if it is sold individually. It, as long as it does not rot, will fulfill its role of becoming a direct natural food, juice, part of some kind of dessert. Keep in mind that famous passage of the Yogi Bear apple cake, BooBoo! – or in a good and refreshing drink, like cider. It is, in short, an apple, and it is aware of its role – and if not, then worse for the apple. The way to solve the problem –MINCIN’s proposal to ration the sale of forty-eight “sensitive” products in stores that sell at differentiated and high prices– is another matter. We must resort to the economic history of Cuba and other countries that at some point practiced rationing –in the case of Cuba because we have been faithful and we have not abandoned it– to understand it. In Cuba, the history of rationing is associated with three factors: the blockade and, before it, the trade reduction measures taken by the US government since the beginning of the Revolution. The decision of the revolutionary government sought to “guarantee” certain goods to the entire population during that hard period. In addition, it aimed to defeat the plans of the North American governments to force us to surrender through hunger. When we already had enough “brotherly and solidary help from the USSR”, then that measure of war became an instrument of equality, where the ration book is its iconic expression. Then, our productive failures, as much or more than the blockade, made the supply of products in Cuba, in spite of having cheap energy, credit at very low cost and markets and safe prices for our export products, could ever be sufficiently flexible and respond quickly to variations in demand. Today that expression of equality becomes the sustenance of distributive injustice. This is because, despite the differences in income, all Cuban citizens receive subsidized products and services, from the richest (the buyer of apples, for example) to the poorest, such as retirees with their pension as their only source of income. Note that the buyer of apples is not guilty of this, nor that Puntilla cannot buy apples quickly. In general, the experiences of physical rationing of products only fulfill a very temporary and short role as a way to regulate the market. Its permanence over time generates distortions that, in the long run, affect the system as a whole and make it unproductive and inefficient, as well as having an intrinsic problem of poor allocation of resources. (Of the Plan, our old and dear Plan, which was never fulfilled, not even in those days of “fat cows”, what can we say now?). Resorting to these measures again is like eating the yuca plant and throwing out the root or, as Marxist economists say, it is to settle for momentarily solving the effect and not the cause. OK, this “solution” that has been proposed as a sui generis way of considering the market. It’s very similar to those of the sixties, which was later recognized in the Programmatic Platform of the Communist Party of Cuba as an error. The latest recent history –that is, of the last fifty years– of our internal trade is a great book from which to learn what is not to be done. I won’t go on further here, because that gives one enough material for a couple of volumes. If the decision to ration products at the end is taken again, what will happen? The first thing is that it will create more uncertainty towards the current project of modernization/updating of our economy, and that is a bad political effect. The second is that it will also generate uncertainty for consumers, who will protect themselves by purchasing those products even when they do not need them (“just in case”) and will force additional expenses even when they are not necessary. In other words, there will be a non-efficient allocation of scarce resources. Third – and this may not be so bad for some people – it will create a new type of employment, that of the PERMANENT BUYER, who will be out in the stores ready to “help” those who need/want to buy a little more of the normed product. This would be another unproductive form of employment that probably has as a correlate some “special relationship” within the stores. And that is not science fiction. It has already happened and it still happens. It will happen again as long as the causes remain unresolved. I think we should first ask ourselves how apples can be imported when other, much more important products suffer from the disease of intermittency. Has anyone asked that question? From the perspective of economic policy, it is evident that today there is a lack of market modality. That is, wholesale sales, something that has been recognized by all as a necessity in these times but which has been delayed for a long time. This happens sometimes for reasons that are not sustained either from the economy or from the Political Economy, much less from economic policy. Selling wholesale does not even require a building, it is a decision. To make it work you can use state warehouses. It would only take a customer account for those who need or are legally authorized (because of their status as self-employed workers or cooperative members) to carry out that kind of operation. While we are discussing this apple pastry, very sensitive and decisive issues for our well-being, for the perception of prosperity, for social justice and for equity, as well as for development, remain unresolved, despite the effort made and the hours that many people have dedicated to it. Issues that have been publicly addressed by our deputies more than once or that have also appeared more than once in the neighborhood accountability assemblies. Some examples: the weak dynamics of foreign investment, the low participation of investment in science and technology in the total volume of investments, the exodus of professionals, salaries so depressed that they are already almost psychiatric, the use of public services for personal benefit, the deficient system of care for the elderly, the lack of basic supplies in hospitals – such as sheets, towels, syringes and needles (which, by the way, are sold in pharmacies in CUC), medicines on the left, the lack of doctors, the almost eternal deficiencies of public transport, garbage on the corners and the lack of hygiene in the city, the housing deficit. They are all there, they have been treated again and again. Some have objective causes, others depend to a high degree on subjectivities of one kind or another. However, several of them are unable to reach the hype that has been made because of this poorly understood fruit. And I don’t know why, being such hot and decisive issues, and being all in public view, they haven’t had the good fortune to be treated in the same way as Snow White’s apple. * This text was originally published in the blog of the troubadour Silvio Rodríguez. 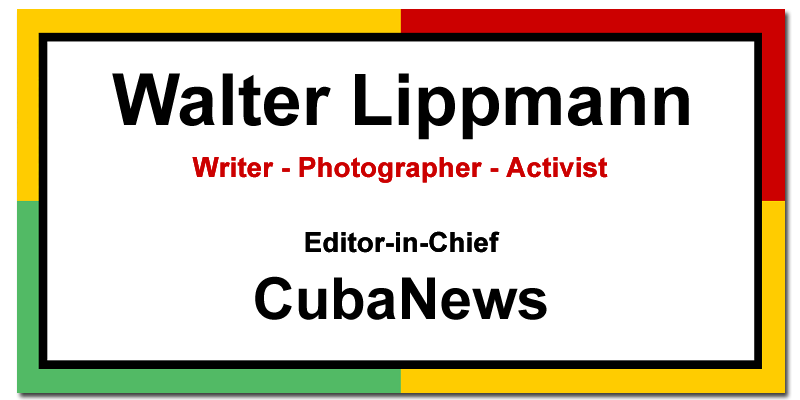 OnCuba reproduces this text with the express authorization of its author. We need to save. But, …how?